Spanning 50 years of grassroots and global activism, this Sundance documentary brings to light the vital stories of the environmental movement where people fought - and succeeded - against enormous odds. 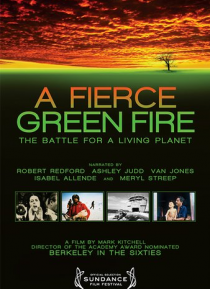 A Fierce Green Fire is "nothing less than the history of environmentalism itself." (Los Angeles Times). Official Selection Sundance Film Festival.